Are you a lazy reader? 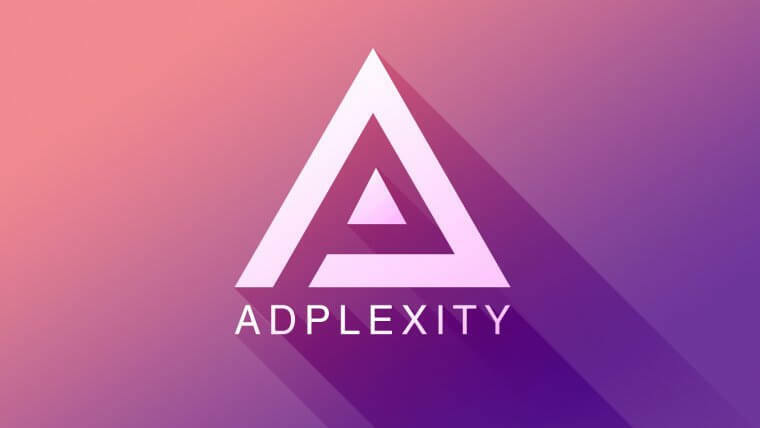 Watch the Video Tutorial we did with AdPlexity. You’ve got your access, everything looks nice, and you’re wondering where to start. First, let’s take a look at the main parts of the dashboard. Let’s see how to use them! The search menu on the top, the filters on the right, and the results in the center. We’ll check one by one. On top of the page, you’ll find the search modes by Keyword. 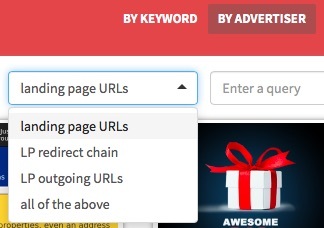 This means you can search for ads with the keyword you want on the landing page. You can insert a keyword on the ad itself. That triggers a search for a concrete keyword you type on the ad title of the content itself when aiming for native or text ads for mobile. You can also insert a keyword on the landing page. You can also search by Advertiser. 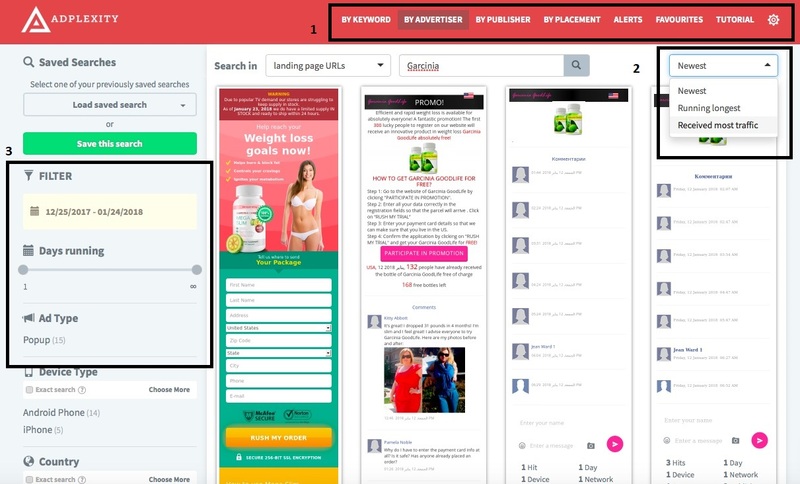 This allows you to find ads promoting certain offers or check for all the campaigns explored by another affiliate/advertiser. The ads are divided into four conditions! What are the four conditions? You can also explore the Publisher search mode. This means you’ll be able to check all the ads that are running on a certain website/publisher. Furthermore, you can choose to go for Placement. This will allow you to see the campaigns that are promoted on a concrete placement of a website. 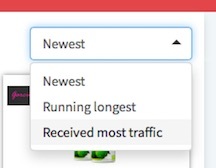 Here, you can select whether or not you want to see the latest results, the ones that have been running for the longest time, or the ones that have received the most traffic. The platform offers a super detailed search. Additionally, next to all of the options above, there’s always a checkbox with an “Exact Search” condition. This will narrow down the search exclusively to what you want. This means it can be useful in case there are Countries or Languages where you want to filter out the LPs in Belgium in French. Following some STM tips, it can also come in handy if you want to skip the multi-GEO campaigns or need to check the exact connection type to see mobile direct billing offers running on 3G only. Now that I’ve covered the main dashboard, it’s time to scrap some landers and check some data! This is the place you gotta go for. Let’s pretend you’ve seen an interesting lander in the dashboard results. You clicked it and you’re now being redirected to the Ad Page of your choice. The preview of the lander, the countries and connection types where it’s promoted, and – of course – what we need. The landers, which you can also sort by a concrete affiliate network, if needed. Once you click one of the LP links, a popup with more information is gonna be displayed. It links to the redirection path and some outgoing links – the ones mentioned before, in the advertiser search. In order not to copy the link and go back to that search, just mouse over the link you need for more options. Firstly, you can run the advertiser search directly from here, with the selected link’s domain. Secondly, you can get the full URL path. Then, the two main buttons on the bottom. One button will allow you to run a search with more ads from that advertiser. The other one will allow you to finally download that LP in a zip file with an HTML or a php code, so that you can adapt, modify, and apply to your own campaign. The second part of the Ads Page is all about graphs, charts, stats numbers, etc. 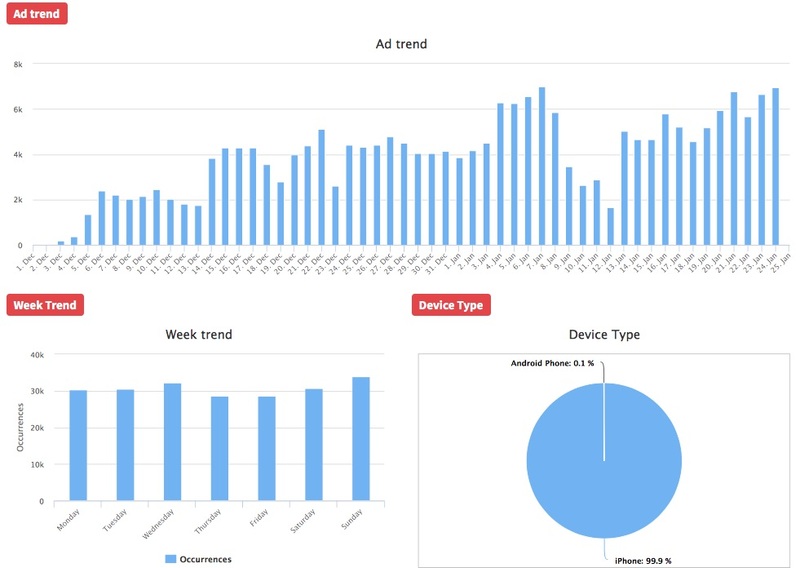 The trend of the ad for the time period you choose, the weekly trend to have a fresher view, and the device type pie chart. Publisher, publisher’s placement, and traffic source – by both duration and volumes. Note: If you prefer to watch a video tutorial, click here. Now, let’s check an example of a crypto offer. How to know that it’s branded and how to avoid it? Just enter the Ad Page! The fact that it’s run almost worldwide can already give you a hint! The link path is going directly to the domain. And there’s no info on the tracking tool or on the affiliate network. You should read, search, and ask questions! The tutorials are your best weapon against affiliate marketing oblivion! Learn, grow and become #1! Thought I’d forgotten about that extra-juicy discount that I promised at the beginning of this article? Now that you have the proper tools, you’re one step closer to reaching those breakthrough results! Good luck to each and every single one of you!